As one of the cradles of ancient Chinese civilization, Shandong has formed a unique tourism style by mixing together its natural beauty, local characteristics and rich historic resources. When taking a Shandong tour, you are able to walk into the hometown of Confucius, Qufu, to appreciate the profound oriental culture; admire the most revered Mount Taishan, one of China's Five Sacred Mountains; visit the 'City of Springs', Jinan and relax at the charming seashores in Qingdao, Yantai and Weihai. 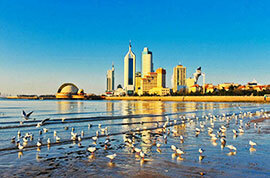 What are things to do in Shandong? 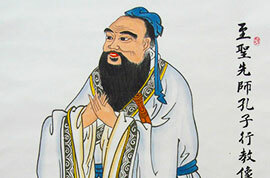 Qufu, a city with over 5,000 years' history, is the hometown of Confucius and the birthplace of Confucianism. By taking a trip to Qufu, you will visit many traditional Chinese cultural sites including Confucius Family Mansion, Confucius Temple and Confucius Cemetery, which are world-renowned for its profound cultural background, long history as well as the rich collection of cultural relics and have been listed in the World Cultural Heritage site in 1994. In addition to the brilliant historical and cultural heritages, Shandong also has beautiful natural landscapes among which the Mount Taishan in Tai'an is regarded to be the most representative one. Normally, one day is enough for a Taishan tour itinerary, but if you prefer to enjoy wonders of the fascinating sunrise and the seas of clouds, you may stay one night at the hotel on top of the mountain. 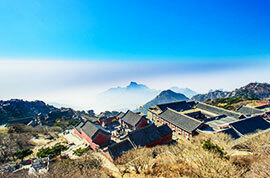 Besides, Dai Temple is also an important site in Mount Taishan area. Constructed in Han Dynasty (202BC-220), it is the largest and best preserved ancient architectural complex, containing more than 150 ancient buildings in various types that can be compared with the royal palaces. Shandong province is situated on the eastern coast of China. 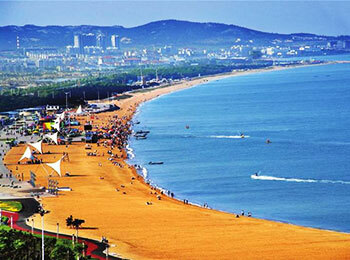 Along its 3,000 kilometers coastline sits four seaside cities - Qingdao, Yantai, Weihai and Rizhao. After the cultural experiences in Qufu and Taishan, you can extend your Shandong tour package to these coastal cities for a leisure trip. 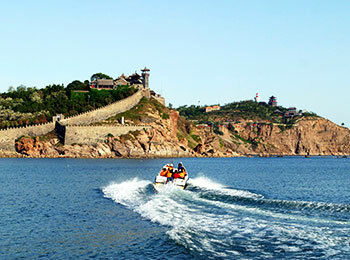 At the summer resort Qingdao, you can either spend your time on Mt. Laoshan, a famous Taoist mountain, or visit Qingdao seaside scenic spots including Zhan Bridge, May 4th Square, Badaguan, etc. Moreover, Penglai Pavilion Scenic Area in Yantai, Liugong Island in Weihai and the Beach Resort in Rizhao are also good places for a summer vacation in Shandong. If you are interested, please contact our travel consultant freely. 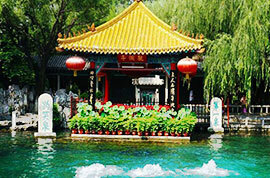 We will be glad to provide you with a customized Shandong tour based on your requirements. 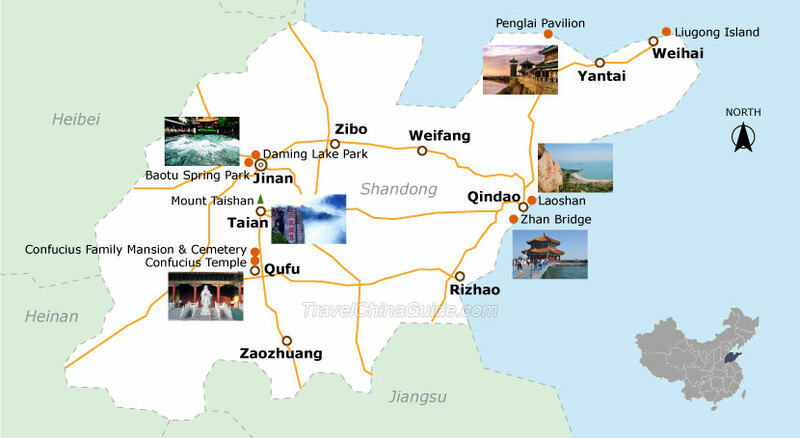 How to get to Shandong and travel around? The transportations in and to Shandong province from other cities of China are well-developed, including flights, trains and buses. Most cities in Shandong have airports, and attribute to the international airports. It is much easier to plan a Qingdao, Yantai and Jinan tour from Japan, Korea, Singapore, Thailand, Russia, Hong Kong, Macau and other countries or regions. What is the best time to visit Shandong? Speaking of the best time to start a Shandong tour itinerary, spring (March-May), summer (June-August) and autumn (September-November) are all good choices. If you visit Mount Taishan, you may come in May for the sight of the marvelous "Sea of Clouds" or on cool autumn days to appreciate the red leaves. Qingdao is bustling in summer due to the golden season for a seaside holiday, and the International Beer Festival held in Qingdao every August should not be missed as well. Thank so much! I know that there is 1Km Home Inn & one night CNY300 near Airport Jinan. One more ask to you, if I get on taxi midnight(23:00) from Jinan Airport to go the Home Inn(1km) how much pay Taxi driver? The fare will be around CNY 10 if you hail a taxi. I want to know nearest motel name from Jinan Airport? How far KM from Airport One night how much? As I know, there is no motel near Jinan Yaoqiang International Airport. However, I would recommend Home Inn Plus which is about 1km from the airport. The room charge is around CNY 300. What is the best way to travel to Puyang, Henan province. I have read buses ply in morning from the East Coach Station, Jiefang Lu. Where is this located and what is the best and cheapest way to reach East Coach Station from International Airport. Please guide on bus numbers also. Well, as I know, the coaches are available from Long-distance Bus Station. You can take shuttle bus to the railway station; and then catch a taxi to the station or take bus k90 / k 302 to the station then. 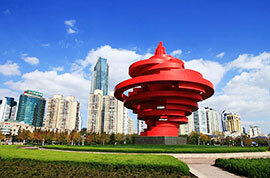 The most popular shopping places in Jinan are Quancheng Lu, Daguan Yuan, Renmin Shangchang and the South Gate areas. Besides, the West Market, Luokou Market and the Old East Gate Market are also recommended. If you want to buy antiques or calligraphy works, you can go to Yingxiong Shan Culture Market.